Speaking at MIFF 37°South, Screen Australia COO Fiona Cameron today revealed that 47% of successful production funding applications had female-led creative teams across a two-year average (2015/16 – 2016/17 inclusive). Announced in December 2015, the Gender Matters KPI is to have 50% of successful production funding applications be female-led projects by the end of 2018/19. A 17-person Gender Matters Taskforce was also announced, drawn from leaders across the screen industry including ABC Managing Director Michelle Guthrie, actor Deborah Mailman, the Seven Network’s Head of Drama Julie McGauran and The Dressmaker producer Sue Maslin. “One of the distinguishing factors of Gender Matters is that the whole industry is along for the ride in recognition of the overriding commercial imperative,” said Fiona Cameron. Screen Australia released updated industry-wide female participation data for feature film, which now includes the three most recent financial years. Feature film has historically had the lowest female participation rates, and the percentage of female producers, writers and directors has not changed since the data was last released (1970/71 - 2013/14). The number of women currently working in feature film industry-wide is also low across the 5-year period 2012/13 – 2016/17, with just 34% of producers, 15% of directors and 22% of writers being female. Creatives only needed to work on one project in the period to be counted. Web series Sheilas has become the first of the 45 Brilliant Stories alumni to progress to production, securing Screen Australia funding to make the 8 x 4 minute comedy to be released early next year. Of the 11 Brilliant Careers industry opportunities, some have already been completed, such as LevelK Australia’s paid internship for Debra Liang which has since resulted in Debra obtaining a permanent job with the sales and distribution company. Larger career development opportunities are in progress, such as the ADG’s commercial sector mentor program, where eight directors were placed at production companies and two have since been signed with them. The ADG’s Shadow Directing program is also active, with Darlene Johnson on Home & Away, Lucy Gaffy on Doctor Doctor and more to come. For writing opportunities, Endemol Shine Australia’s Smart for a Girl: ROAR program received 935 applications for 12 places. The successful applicants were announced on Friday, with the opportunity increased to 15 places due to the quality of applicants. Under the guidance of renowned producer Imogen Banks (Offspring) and screenwriter Alice Bell (Puberty Blues, The Beautiful Lie), participants get a paid writers’ room experience. Seven women have already completed Gender Matters Attachments on TV and film projects, with another six active now. There are eight more attachments in the works. These paid placements offer genuine work opportunities, with Lizzie Cater currently working in post on Picnic at Hanging Rock and Vanessa Orzlowski with the camera department on TV series Sisters. Charlotte McConaghy was a script editor on Pulse, while Mel Sawyer was a producer’s assistant on the new Helen Mirren film Winchester and has since been hired to see the project through to post. The pilot attachment program has been so successful it has been extended. From 1 July 2017 Screen Australia now facilitates a wider range of inclusive attachment opportunities. Unsurprisingly, with few female-led feature films coming into the market, Gender Matters Better Deals distribution assistance has been slower to activate. Nevertheless, Jennifer Kent’s The Nightingale and Marion Pilowsky’s The Call Back have both accessed the funding and the program has been extended for 2017/18. It was also announced today that the Gender Matters Taskforce has been significantly expanded to now cover all corners of the industry, from TV to distribution, across a range of career stages. Co-creator and producer of international juggernaut Dance Academy, and three-time Emmy nominee Joanna Werner will chair the Taskforce. Joanna Werner – Founder of Werner Film Productions, three-time Emmy-nominee, AACTA and multi Logie award-winning television producer. Imogen Banks – Award-winning producer at Endemol Shine Australia whose body of work includes Offspring, Puberty Blues, Gallipoli and forthcoming series Sisters. Sarah Bishop - Actress, writer, director and producer, and one-third of the comedy trio Skit Box who have achieved over 100 million views worldwide with viral hits like Activewear. Corrie Chen – AACTA-nominated, ADG award-winning writer and director. Currently in development on her feature Empty Empire (formerly Strangers) and a director on forthcoming ABC series Mustangs FC and Sisters for Network Ten. Sasha Close – Exhibition and programming executive consultant to independent cinemas, Programming Manager for Wallis Cinemas, and recipient of 2016 Natalie Miller Fellowship award. Lisa French – Dean of Media & Communication at RMIT University, widely published researcher on women in the screen sector and co-chair of the UNESCO global research network on media and gender. Michelle Guthrie – Managing Director of the ABC, with an extensive background in broadcasting and media across Australia, Europe and Asia. Sophie Hyde – Co-founder of Closer Productions, writer/director/producer of films including Sundance-winning feature 52 Tuesdays. Series F*cking Adelaide will soon premiere at AFF. Emma Jensen – Screenwriter with over 17 years’ experience in the industry as a writer, development executive and script consultant. Her first feature screenplay Mary Shelley, starring Elle Fanning, will premiere as a Gala Presentation at TIFF. Samantha Lang – Director of Handmaid Media - filmmaker and visual artist with over 20 years’ experience working in Australia, France and the US. Current President of the ADG. Deborah Mailman – Multi-AACTA and Logie award-winning actor of TV, film and stage. Star of some of Australia’s biggest hits including The Secret Life of Us, The Sapphires, Redfern Now and Cleverman. Sue Maslin – President of the Natalie Miller Fellowship, award-winning producer of feature films including The Dressmaker and Japanese Story and Director of Film Art Media. Julie McGauran – Head of Drama for the Seven Network, oversees the networks drama productions including Home and Away, 800 Words, The Secret Daughter and Blue Murder: Killer Cop. Sharon Menzies – Managing Director of Fulcrum Media Finance with over 18 years’ experience in film and television financing in the United Kingdom, Australia and New Zealand. Pearl Tan – Director of Pearly Productions, former Co-Chair of the Equity Diversity Committee, and most recently appointed Senior Lecturer, Directing at AFTRS. Deanne Weir - Managing Director, Content Aggregation and Wholesale at Foxtel, with over 25 years’ experience in media and communications. Company Director at WeirAnderson.com. Caitlin Yeo – Acclaimed four-times APRA-award winning screen composer including for The Rocket, David Stratton: A Cinematic Life, and recently completed feature documentary After the Apology. “The Taskforce’s objective is to continue to focus the sector and broader community on the inequality of female representation in front of and behind the camera, and to facilitate strategies to improve the situation,” said Fiona Cameron. 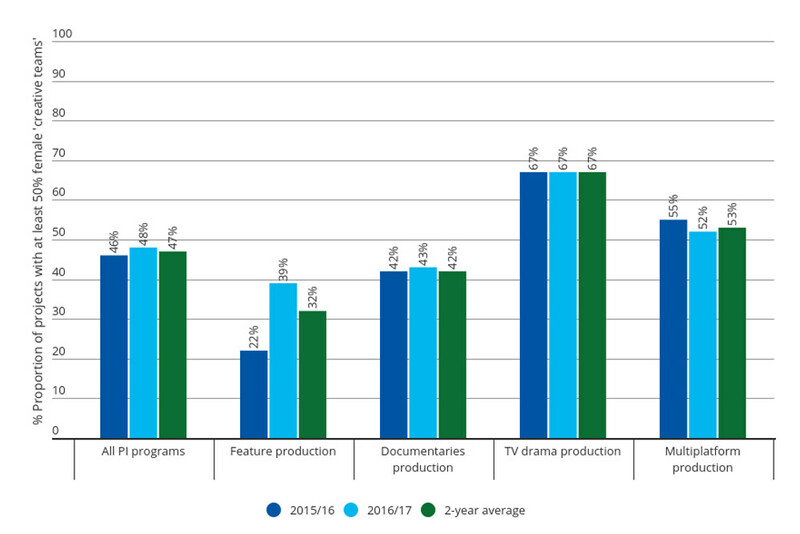 The KPI aims for half of successful Screen Australia production applications to be for projects/titles with creative teams (writer, producer, director, and for drama, protagonist) that are at least 50% female by the end of the financial year 2018/19 (2018 funding year). The reason why successful applications are the KPI rather than funding dollars, is because budgets for projects vary widely. The creative team roles for drama are: writer, producer, director and protagonist. The creative team for documentaries are: writer, producer, director. Each role is examined for female participation considering both credit analysis and in the case of drama, story analysis. If at least 50% of roles are female, the creative team for that project qualifies as at least 50% female in relation to the KPI. As documentary only has three roles, it is statistically harder for a factual project to meet the Gender Matters target. However it is rare for the writer not to also be the director or producer, which can counter balance this. By excluding development funding in the KPI, the focus is squarely on what is being made rather than projects that may or may not be made. Gender Matters Brilliant Stories was development funding. 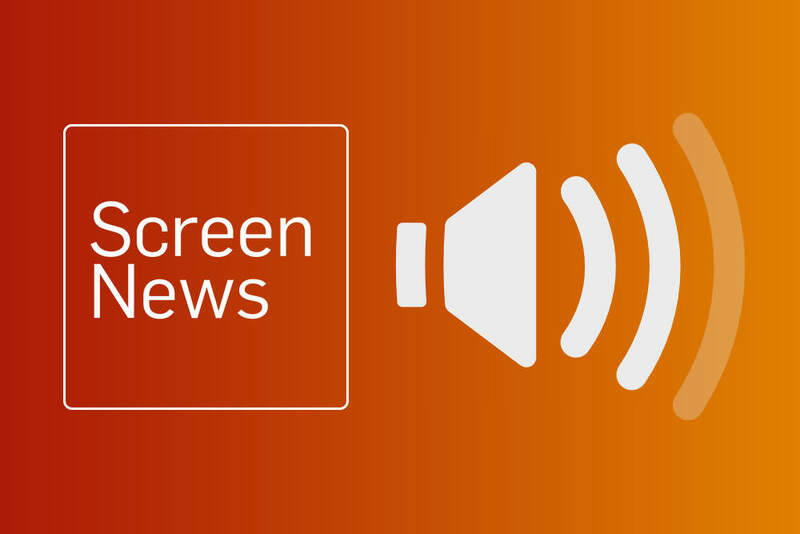 Screen Australia’s KPI is a self-imposed stretch target – it is not a quota. Screen Australia’s standard funding programs are open to all genders and are awarded on merit.